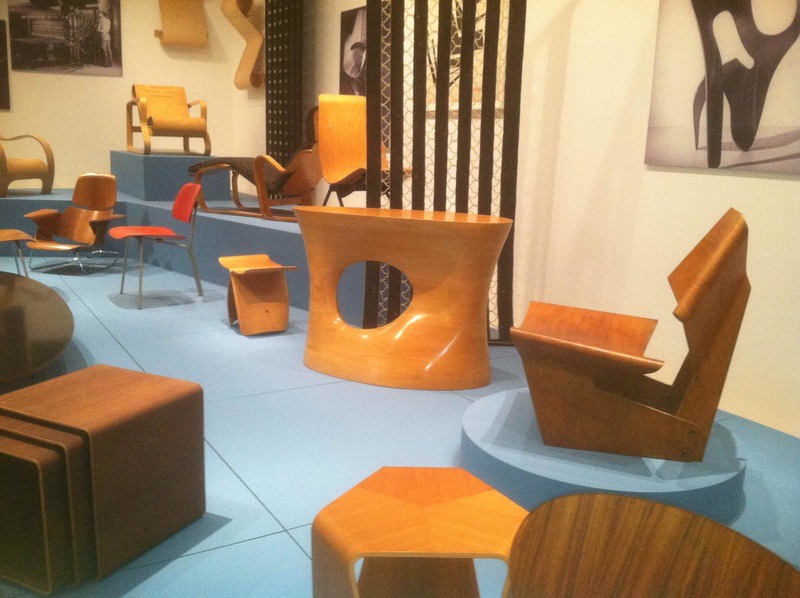 Do the names Charles and Ray Eames, George Nelson, Isamu Noguchi, Harry Bertoia, Eero Saarinen, or Marcel Breuer hold meaning for you? Are you tired of traditional offerings at the furniture stores? 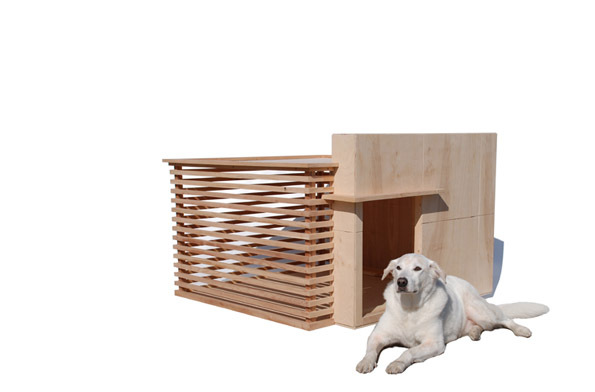 If your answer was “Yes” to one or both then you are going to love Pre-Fab Pets, the pet furniture business started by industrial designer David Neighbor in 2007. Creativity has always been a part of David’s life. Several of his family members are craftsmen or artists and they instilled in him an artistic sensibility. He started out his educational career in architecture that eventually turned to a degree in Industrial Design from San Jose State University in 2001. 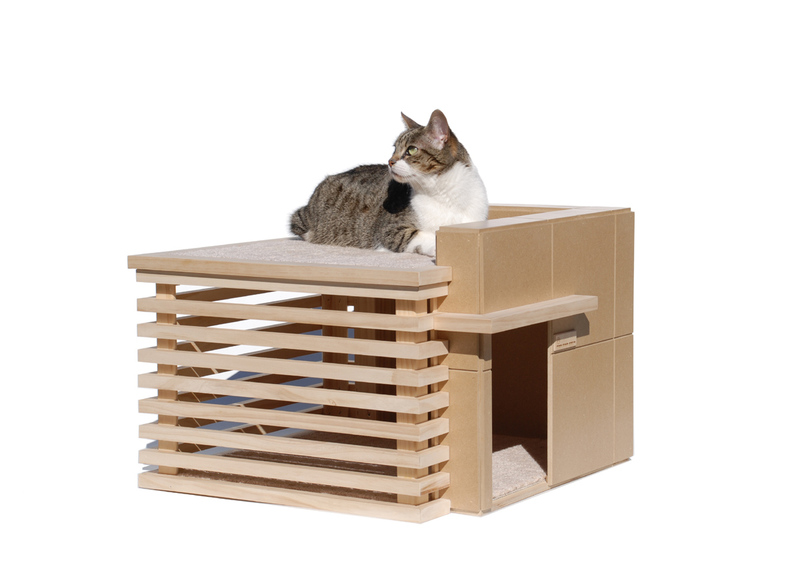 He started his business, Pre-Fab Pets in 2007 after he built a “pet house” for his cats to play on. He was tired of the “ubiquitous carpet covered cat tree” and set out to create something unique. Everyone who saw it thought he should start a business and sell it. His research found that there was no other product like it for that niche market so he saw an opportunity. 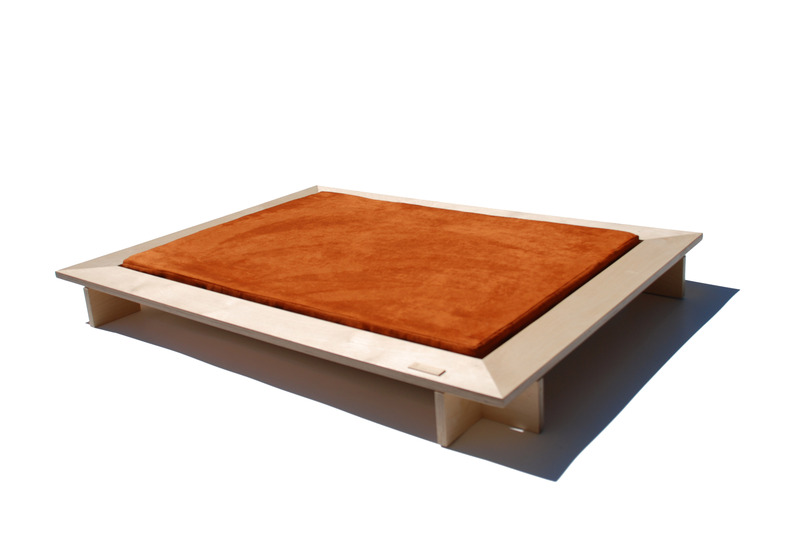 In addition to the pet house, that he named “Architectura”, David has a line of modern and contemporary pet beds. About 30% of his work is custom. The pieces are made to order but most often with only adjustments in size or finish. Completely custom pieces are more time consuming and expensive so he tends to do much less of that type of work. David’s typical clients are creative professionals who really appreciate design and architecture. These clients are most concerned with a product that fits their aesthetic style or taste and they desire a quality product made of durable materials. 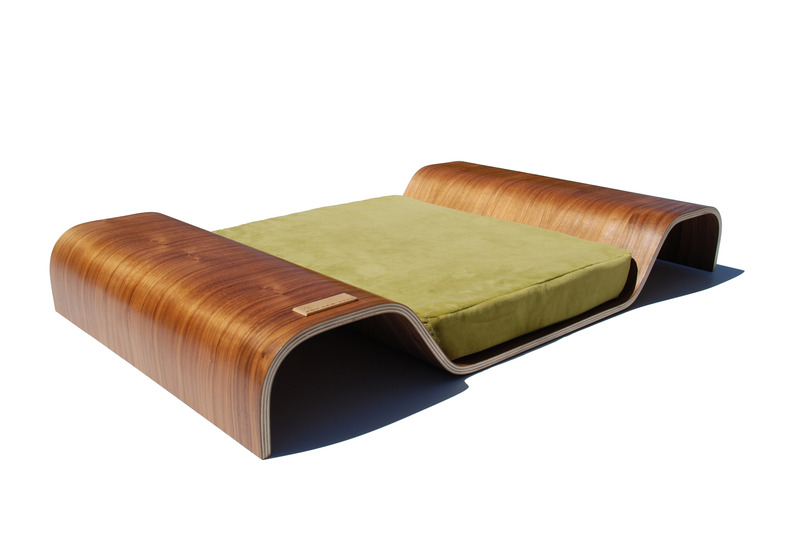 His favorite piece is the bed “Bent” because it is based on the bent plywood designs of Charles and Ray Eames, whose work he loves. David enjoyed learning and using the process of bending plywood. He is constantly thinking about design and the next perfect design project. 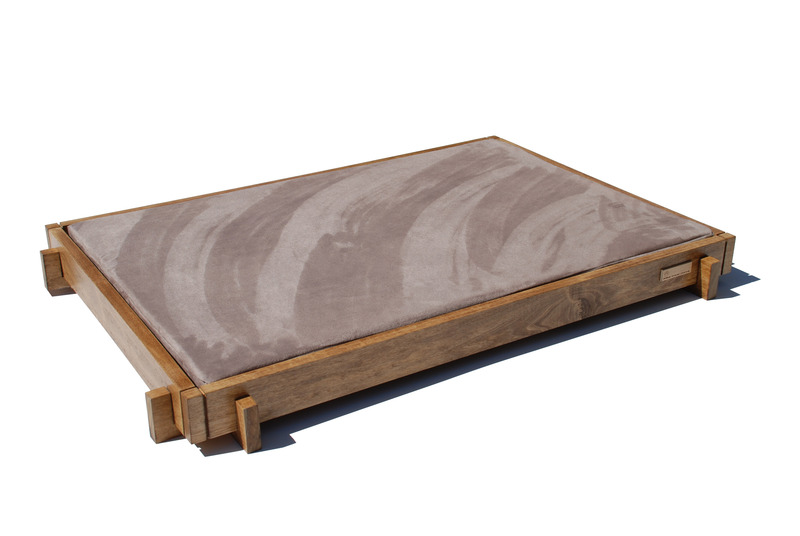 While pet furnishings are a part of his work it is not something that he intends to restrict himself to in the future. David grew up with dogs, but currently lives with cats. If he could get a dog right now, he would choose a Basenji (or two). This entry was posted in Uncategorized and tagged charles eames, contemporary furniture, dogs, mid century modern, pet furniture. Bookmark the permalink.